All New Friday Night Magic at Millennium! | Millennium Games | Over 1,000 Games! All New Friday Night Magic at Millennium! 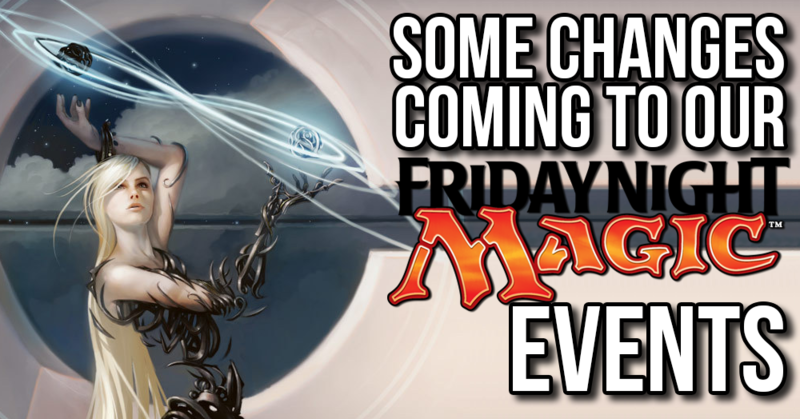 Starting Friday, January 19th, Millennium Games will be making some exciting changes to our Friday Night Magic Booster Drafts! Rounds/ Prizes – Our FNM drafts will be now be 3 rounds, with one pack given out for each round you win. In addition, every player that finishes all three rounds will receive an additional booster pack, regardless of record! It’s like a free win and the event will finish up an hour earlier! As always, players will keep all the cards they select in the draft. This new FNM format will begin on Friday, January 19th to celebrate the first FNM featuring the Rivals of Ixalan set!